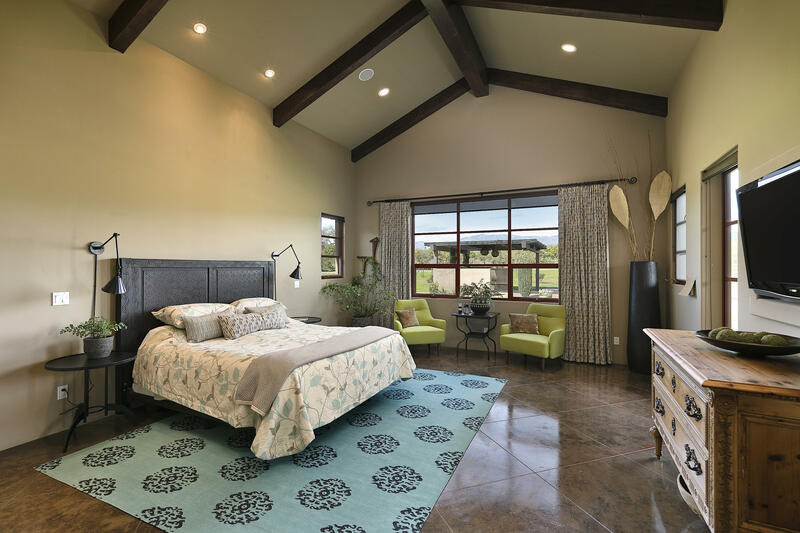 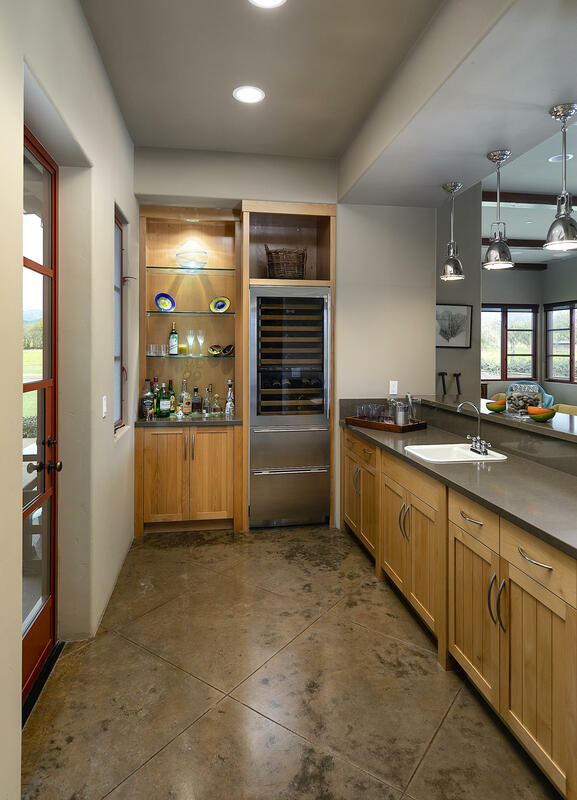 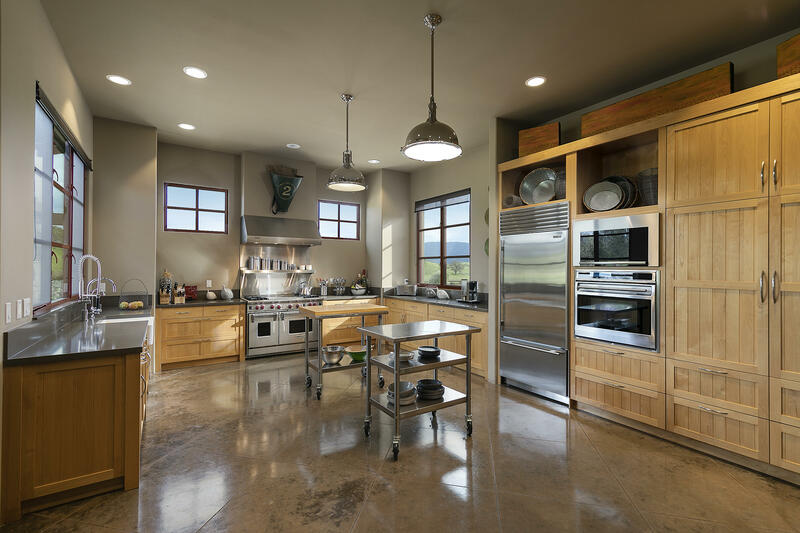 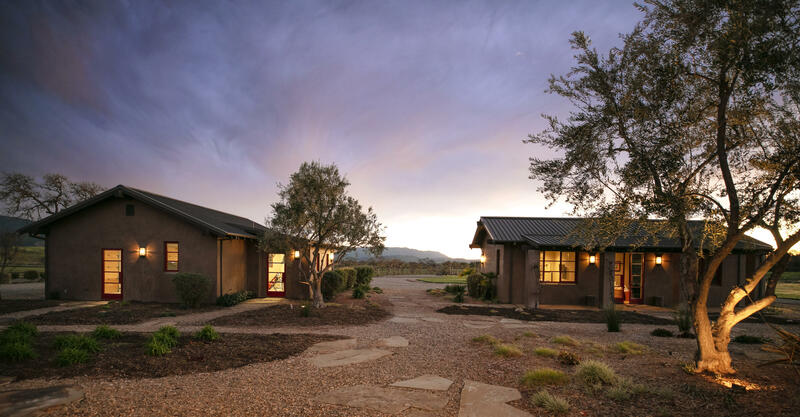 Exquisite, contemporary ranch estate on 26+/- usable, flat acres with 360' mountain views. 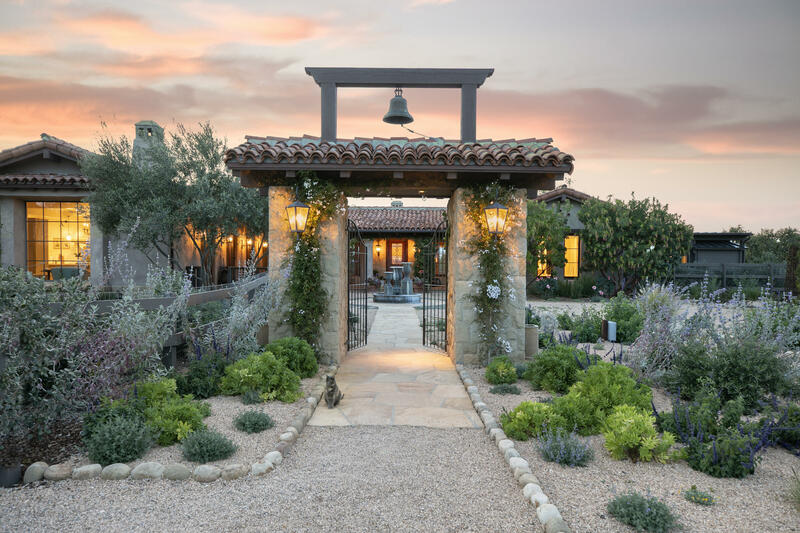 Private double entry gates lead up to a sprawling compound retreat with a breathtaking mountain scape back drop. 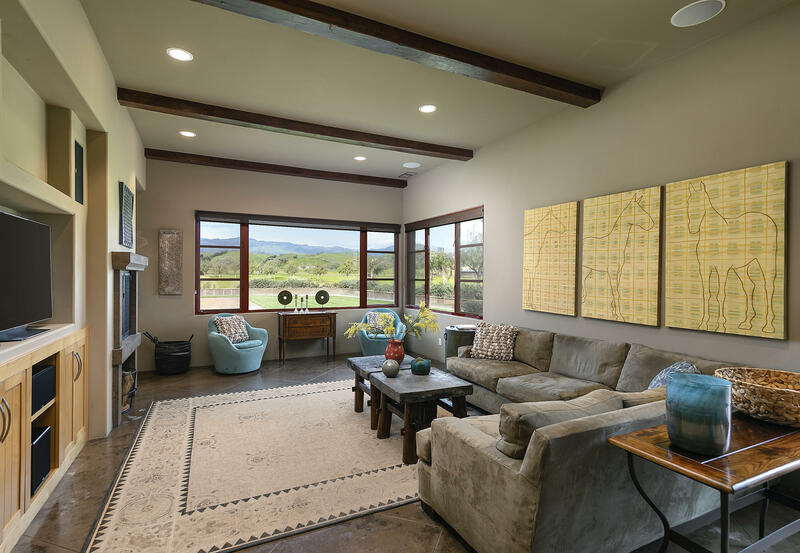 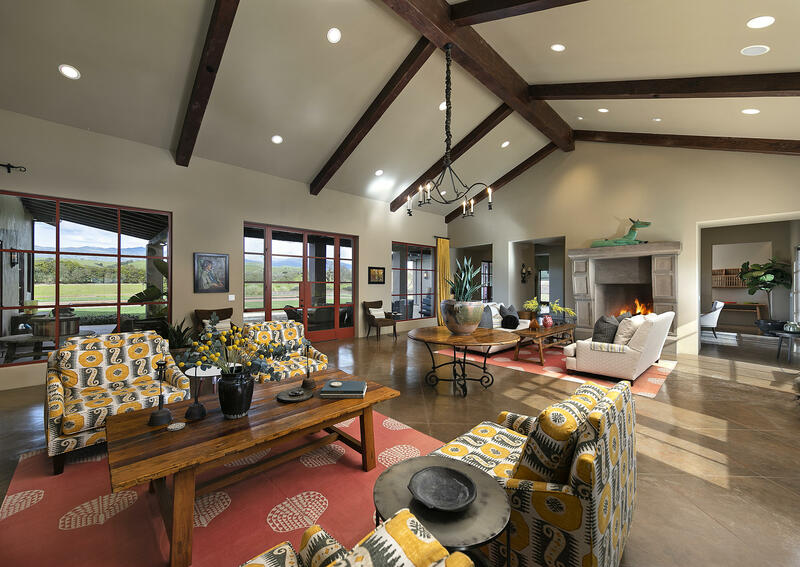 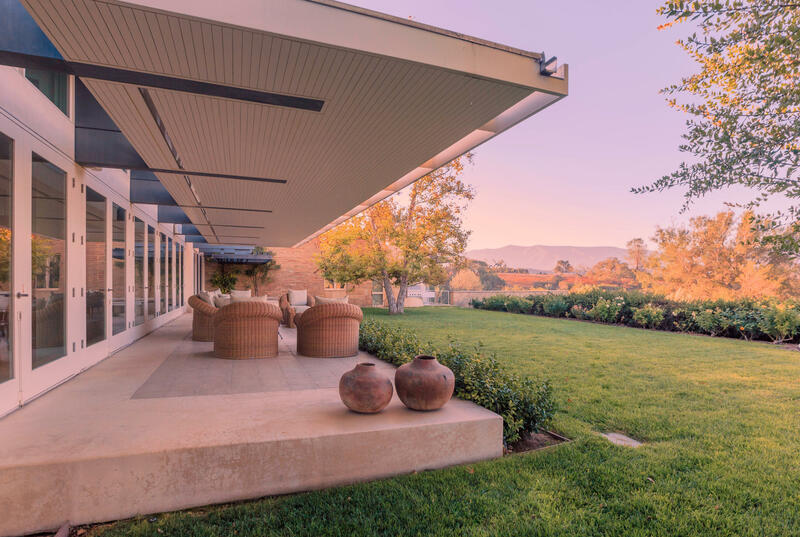 Noted architect, Tom Meany, expertly designed and crafted the 5,700+/- SF main residence which features 4 bedrooms, 4 1/2 baths, lofty beamed ceilings, cement floors, custom metal windows and doors, and a standing seam metal roof. 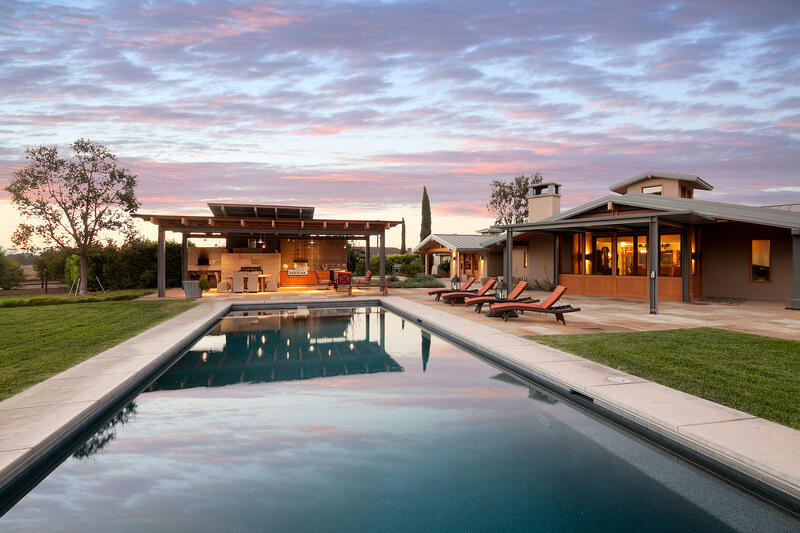 Floor to ceiling doors lead out to a wrap-around covered patio and beyond to a stunning salt water pool, spa and covered entertaining cabana. 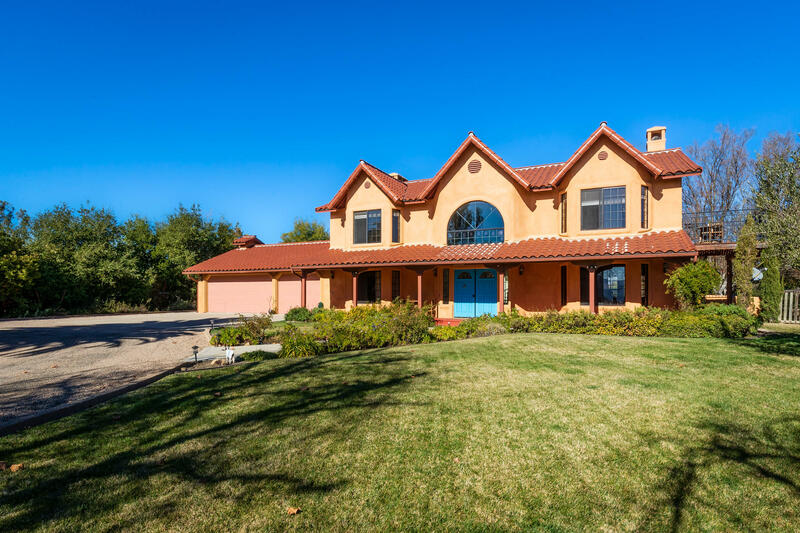 The private 2nd residence, detached office & gym, and detached 3.5 car garage, mirrors the luxury and craftsmanship of the main house. 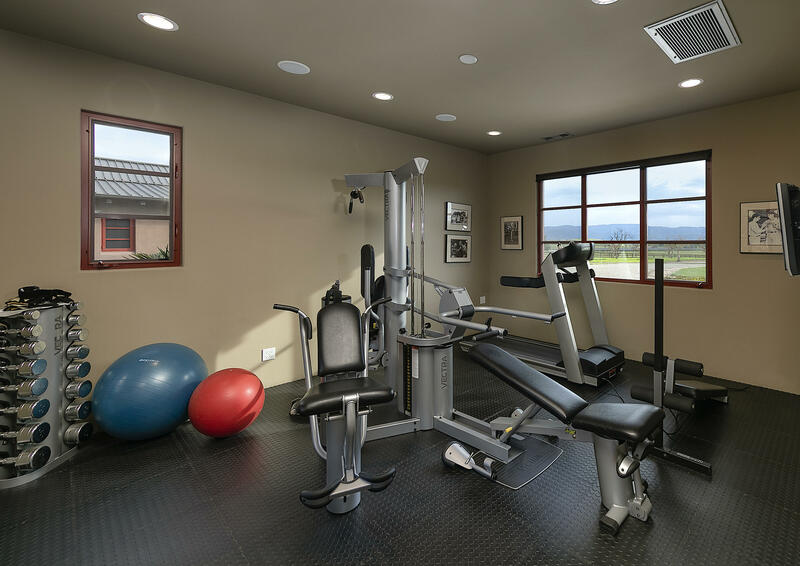 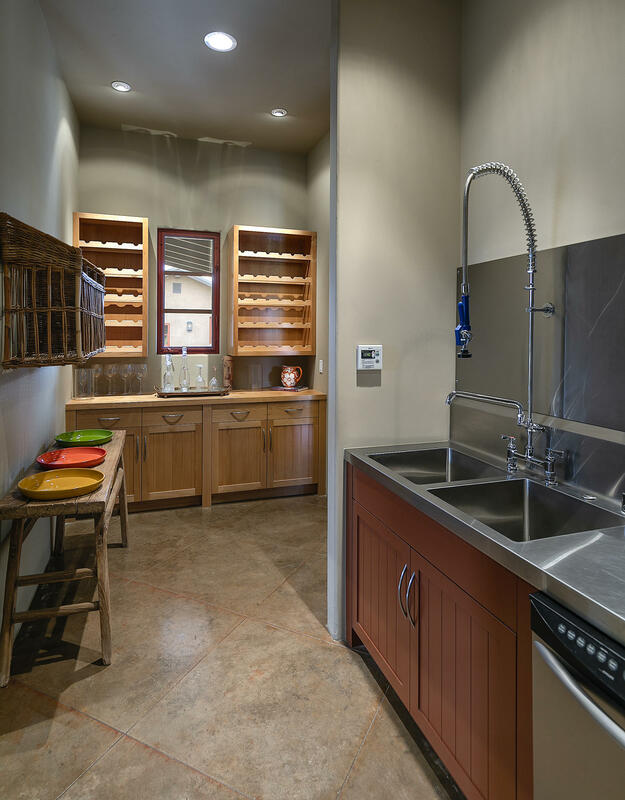 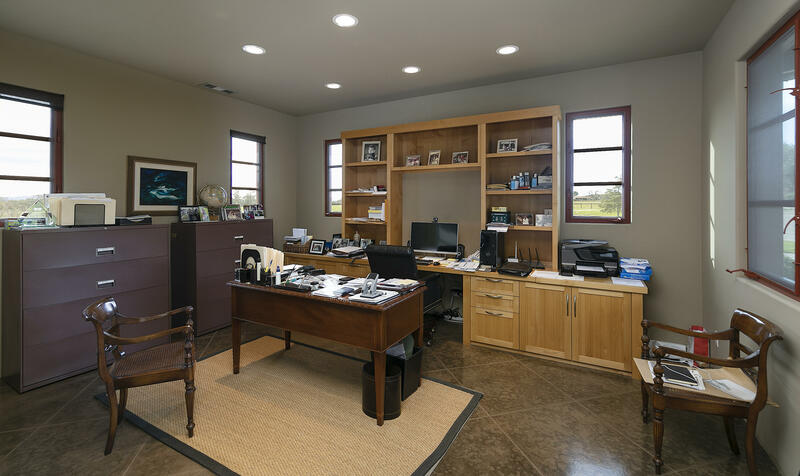 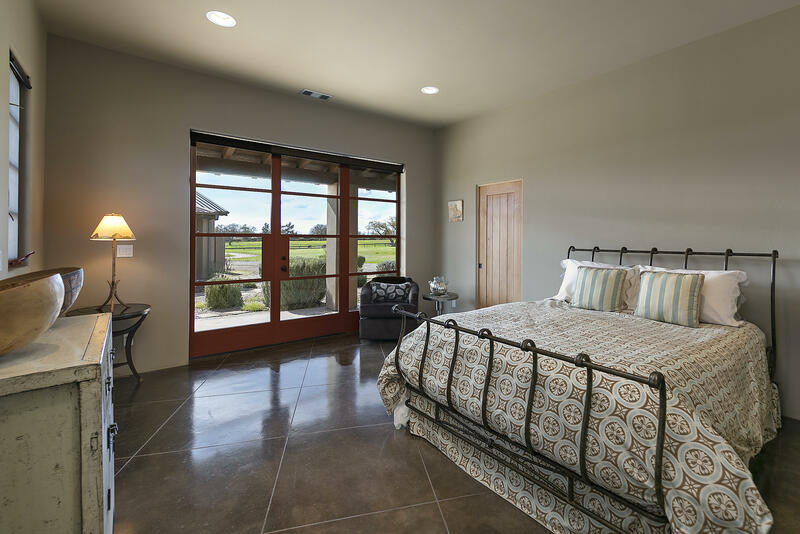 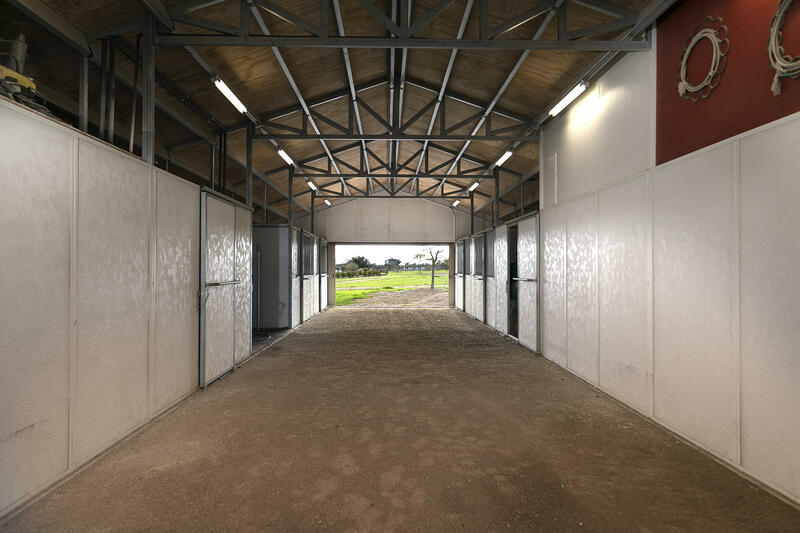 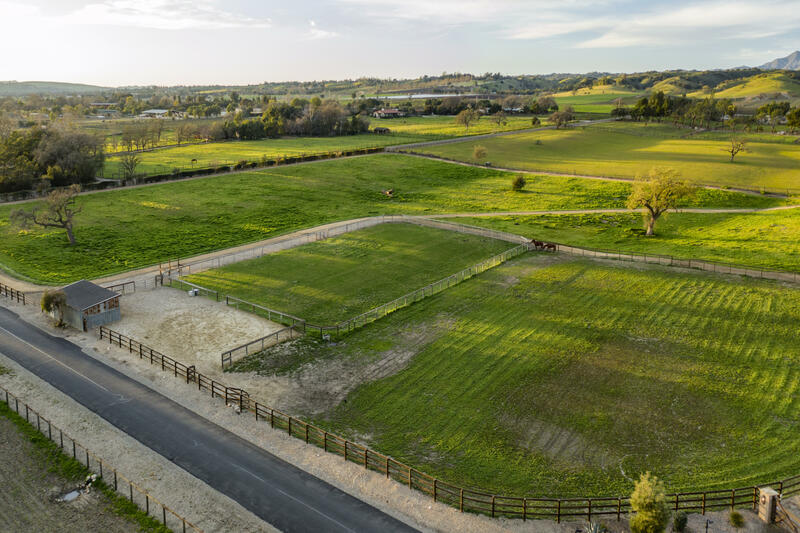 The horse facilities consist of a large barn with 4 stalls, a trainer/groom's flat... ... insulated tack room with bathroom, and beyond to several large turnouts and pastures. 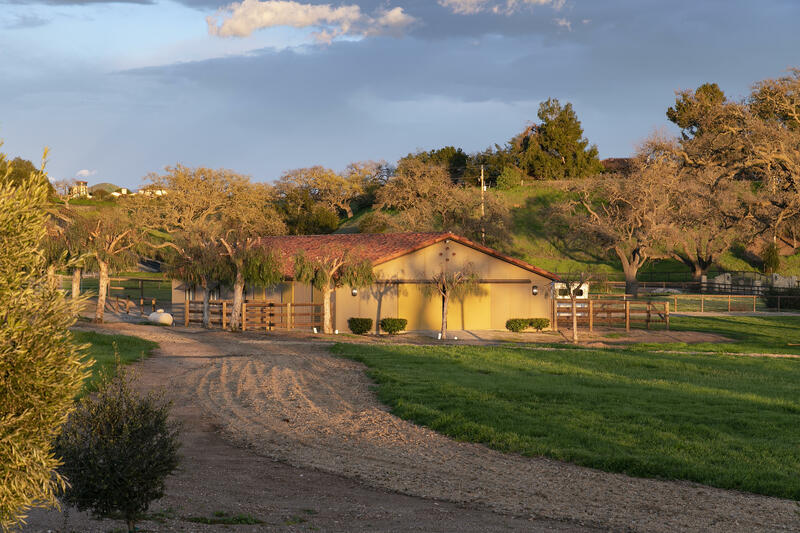 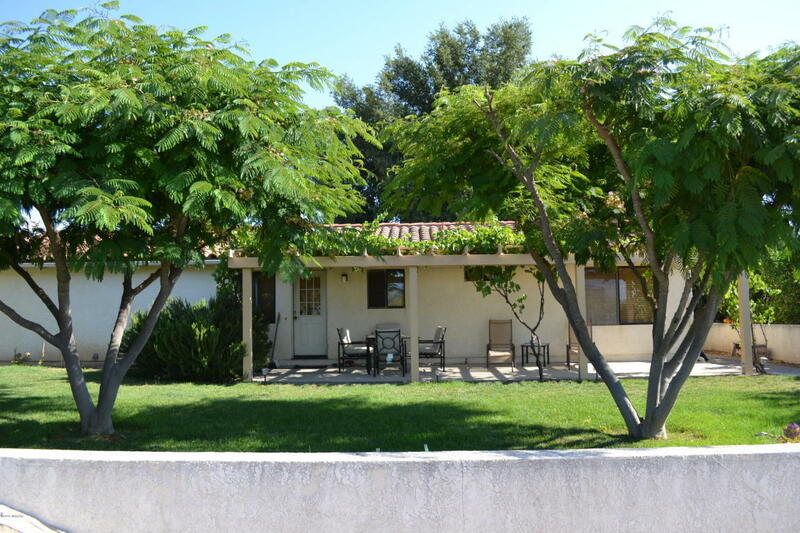 The property is almost entirely served by the owned solar panels as well as a large water well. 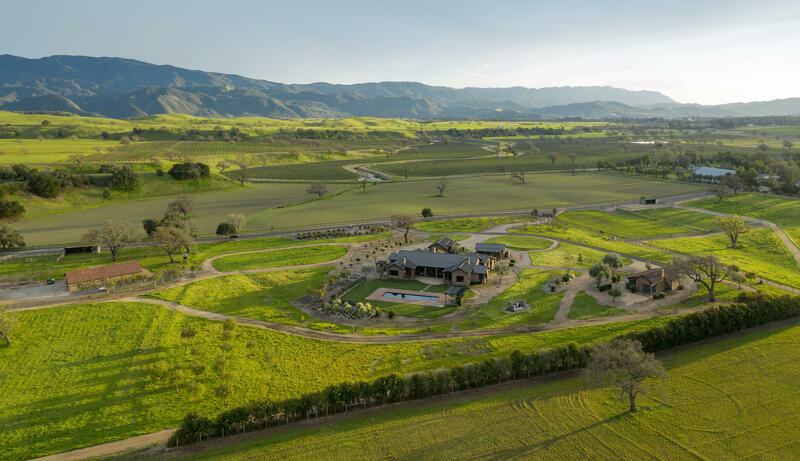 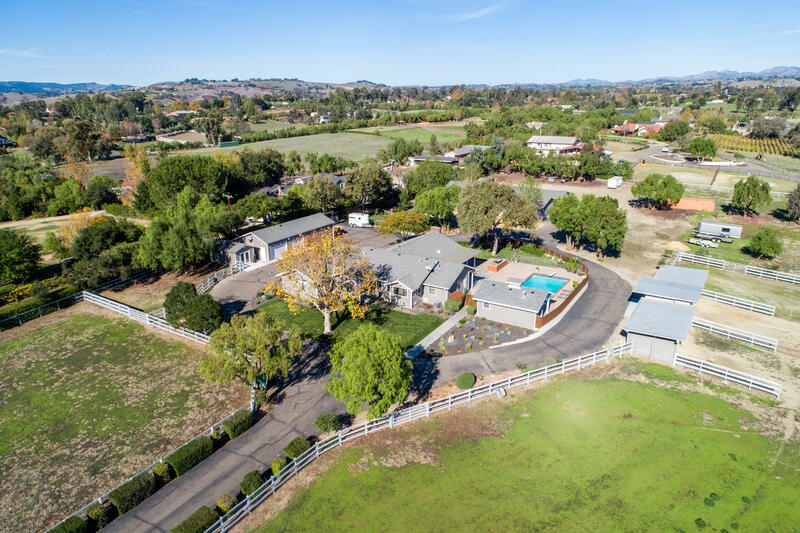 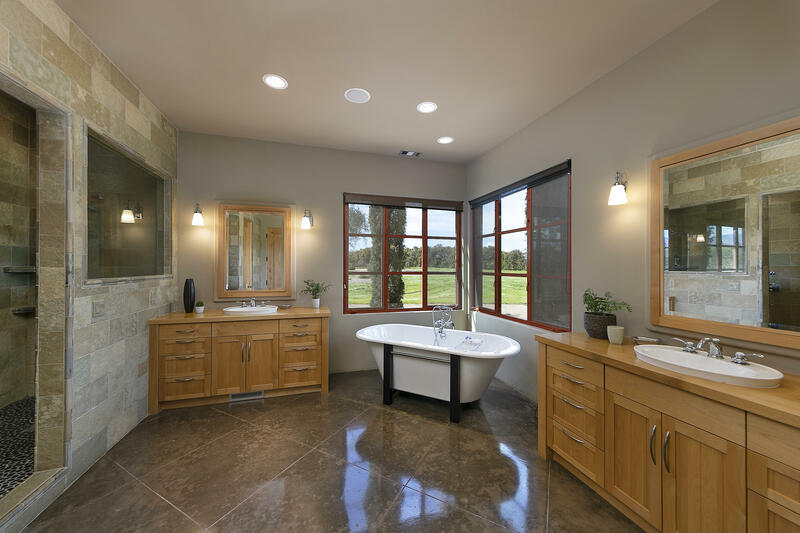 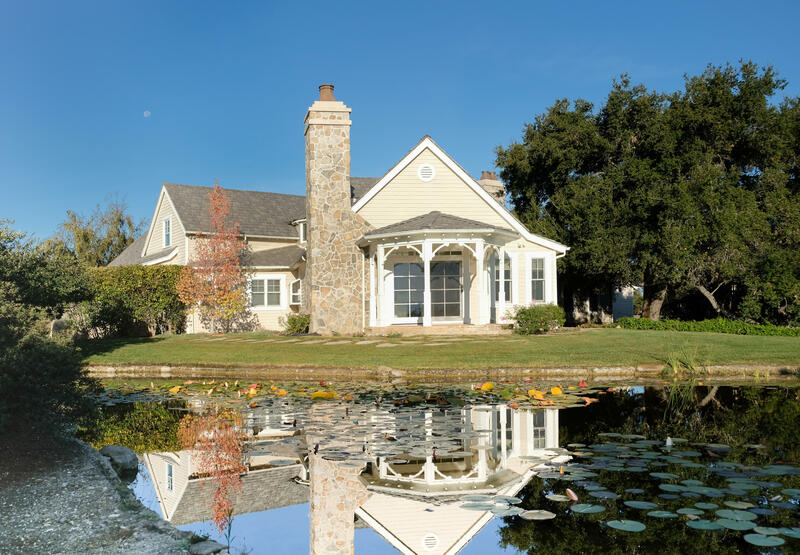 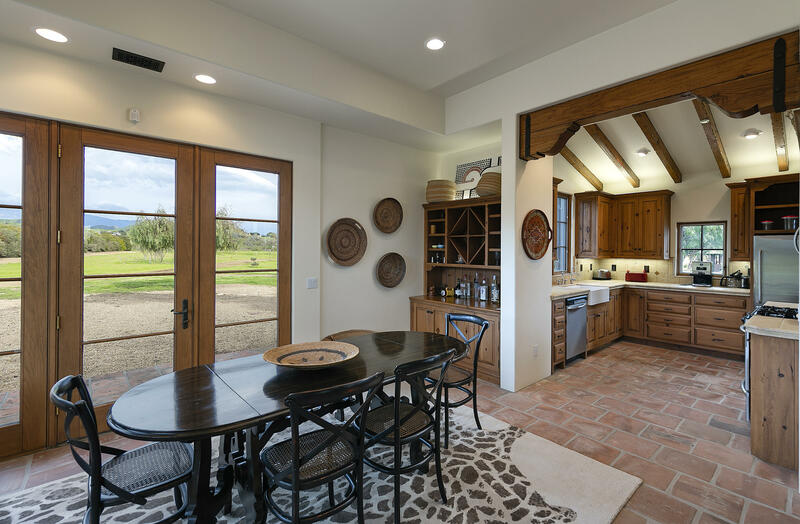 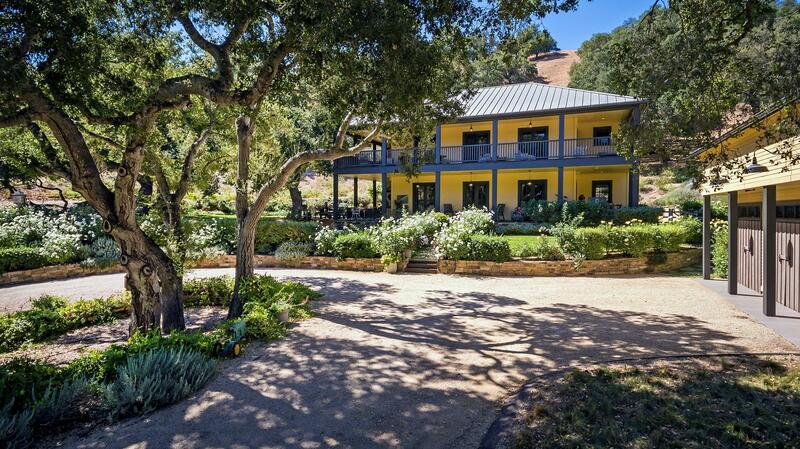 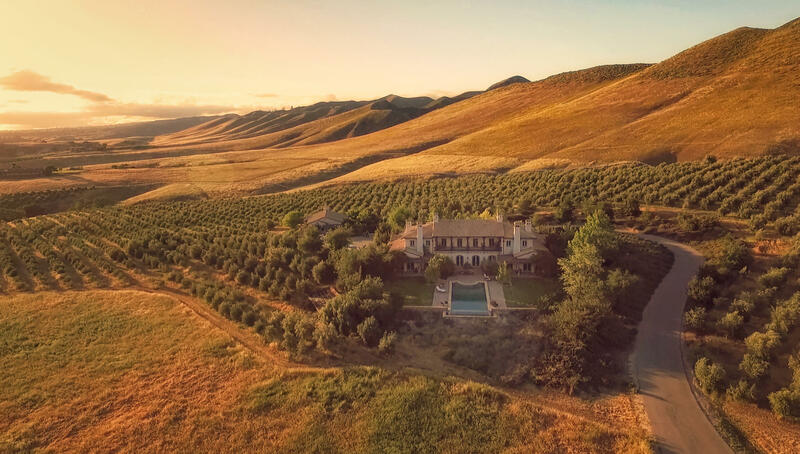 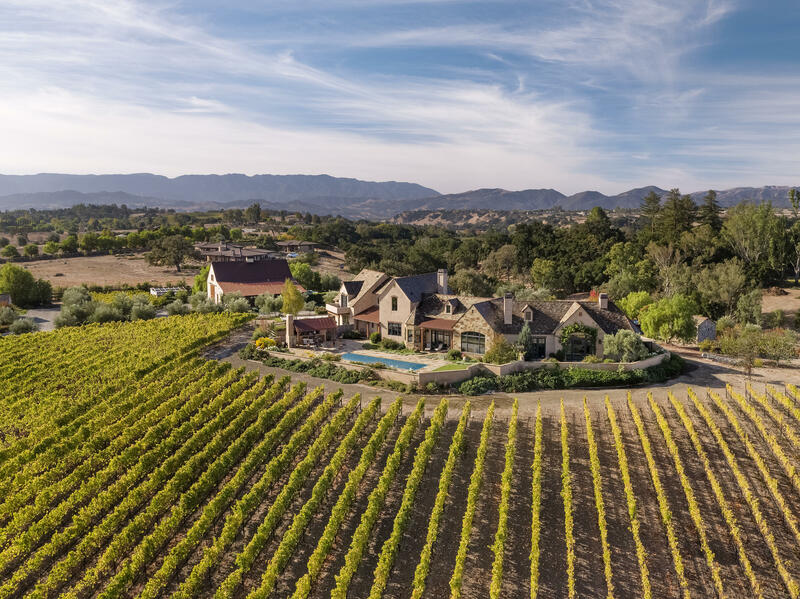 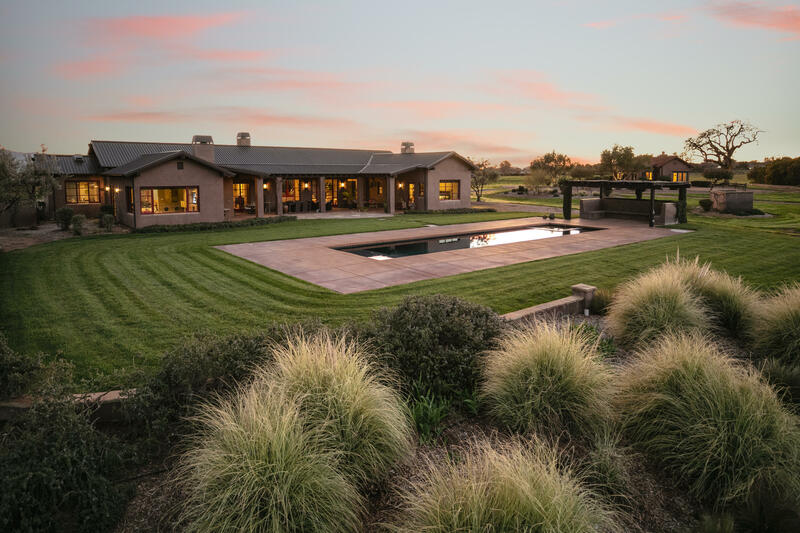 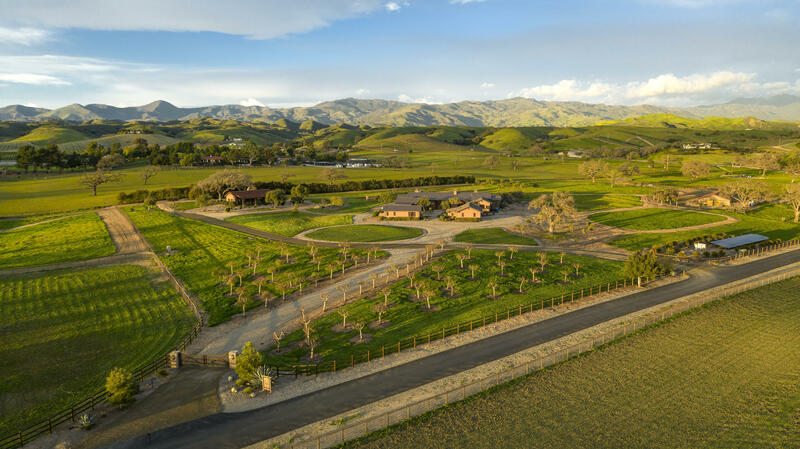 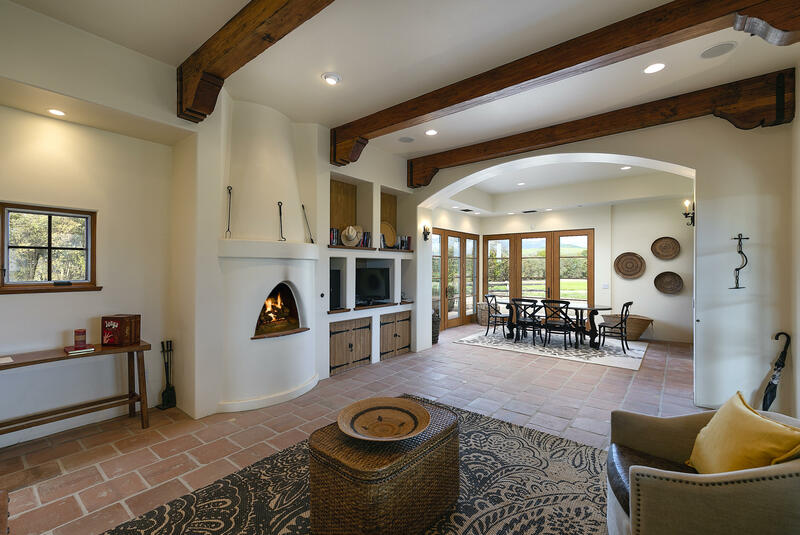 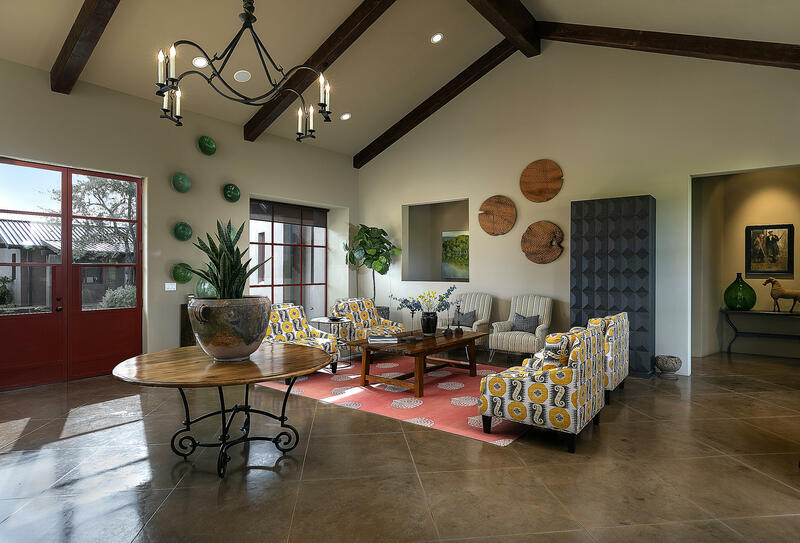 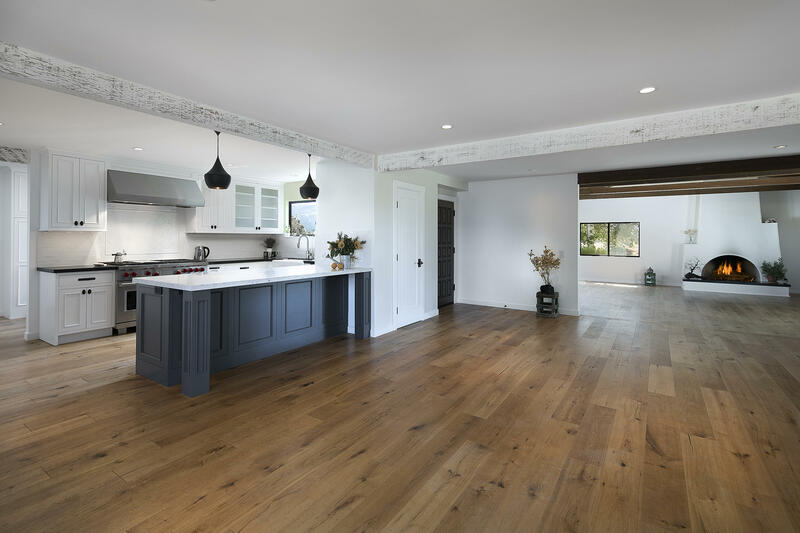 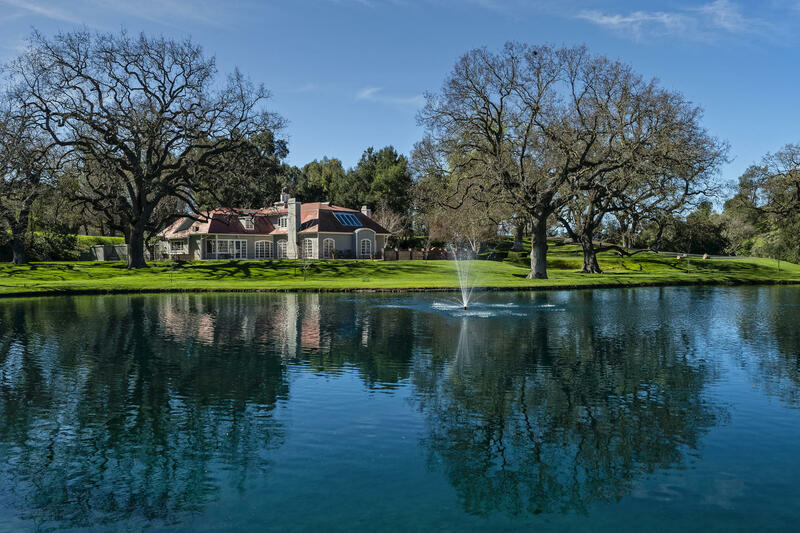 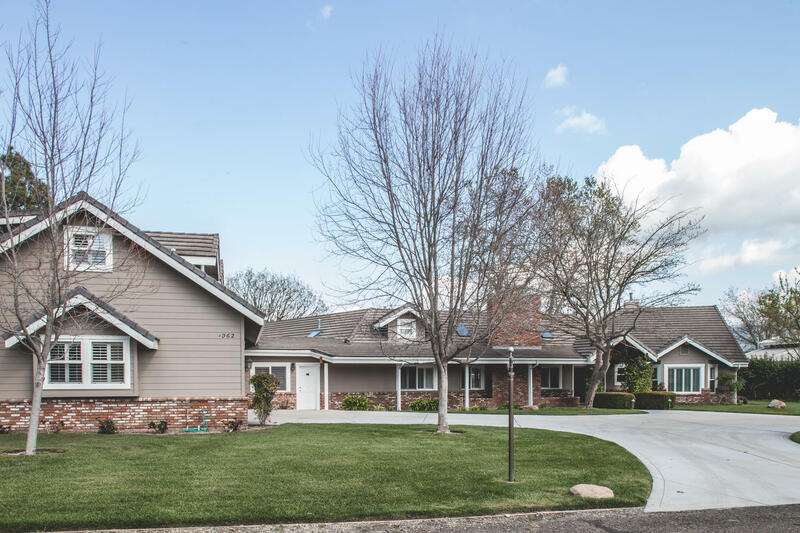 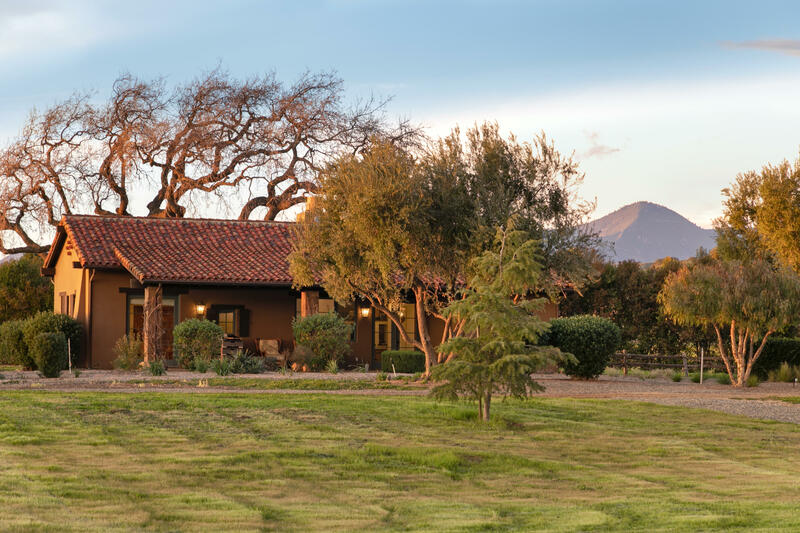 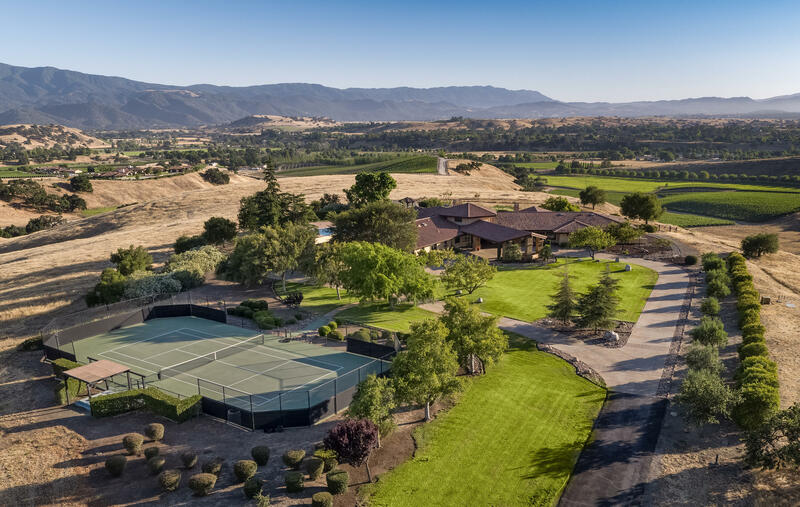 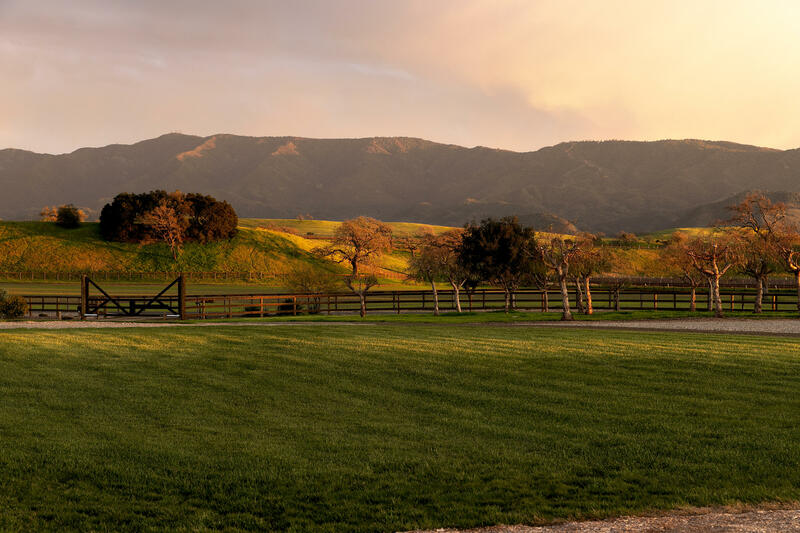 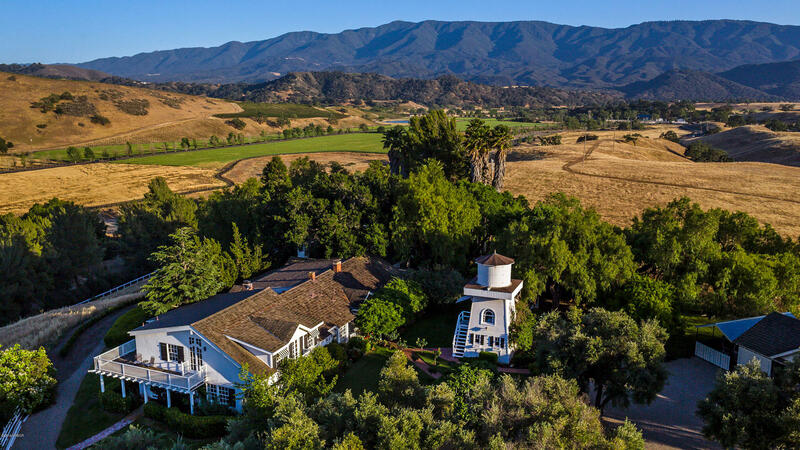 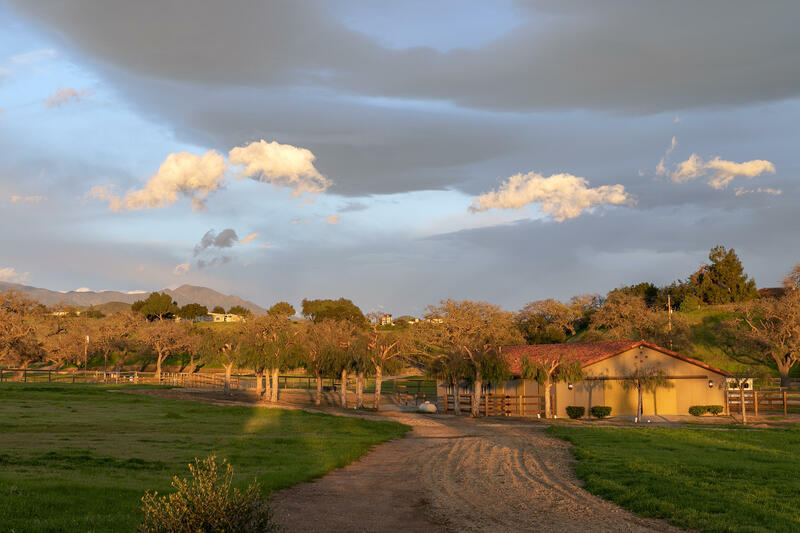 Built with quality, efficiency, and masterful attention to detail, this contemporary ranch estate captures the very essence of the Santa Ynez Valley lifestyle.